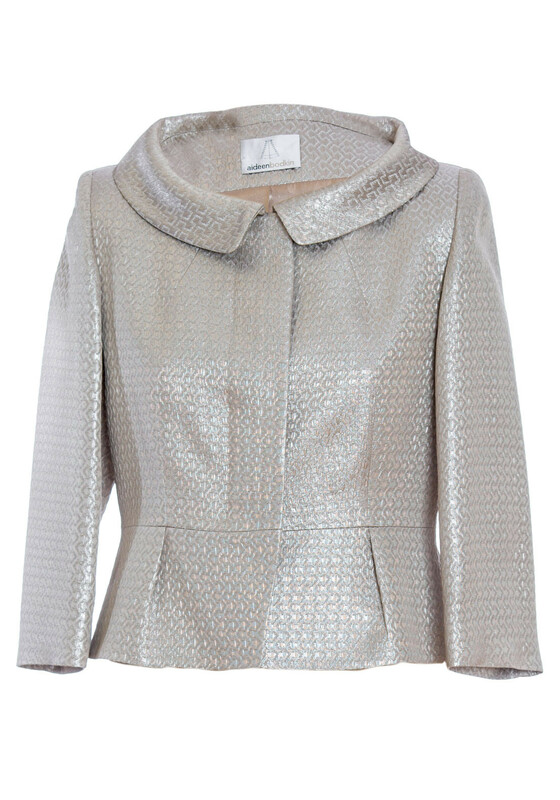 The stunning gold Melia jacket from Aideen Bodkin which would be a sophisticated cover up to wear with the matching Galax dress or smart separates for an important event. Crafted from fully lined metallic fabric with an embossed jacquard print throughout and styled with a waist length. Featuring cropped sleeves, a concealed button placket and lightly flared trim at the hem.